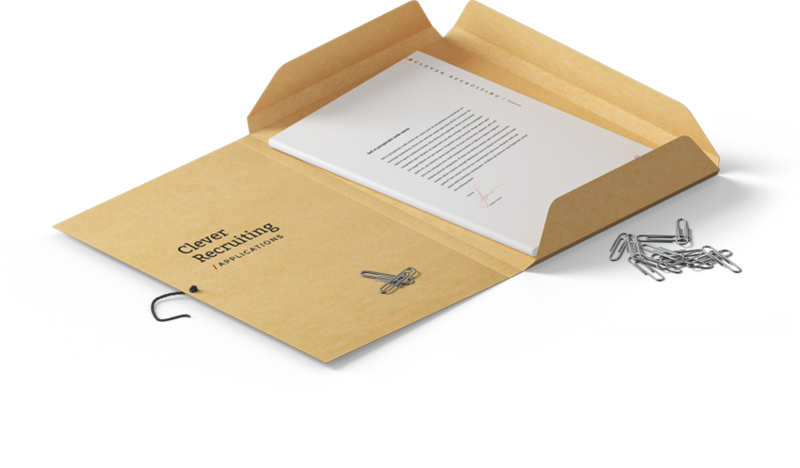 The first intelligent recruitment software that works for you. 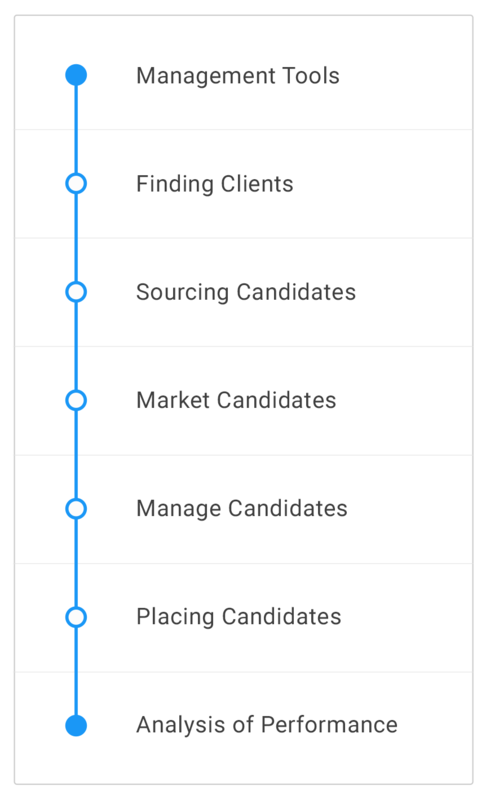 Ditto Hire is an intelligent recruiting platform that will make you source, manage, market and place more qualified candidates in less time. Next time you log into Ditto Hire, there is a good chance the system has already done the work for you, like finding suitable candidates in your database to match open jobs. 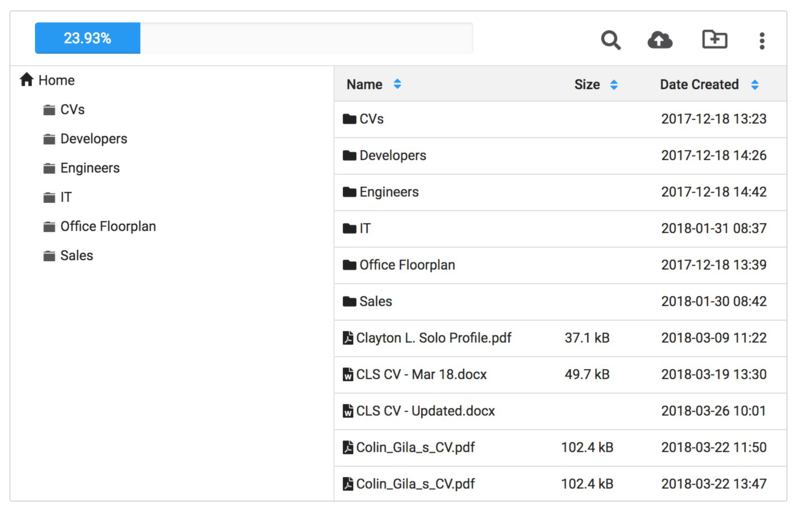 Ditto Hire automatically recommends candidates from your database or matches CVs and other files saved on your database. By the way, every license comes with 1 GB of free cloud storage for your files, folders and documents. Ditto keeps repetitive tasks out of your workday. At the same time, our platform minimises errors and transforms manual processes into automated ones. 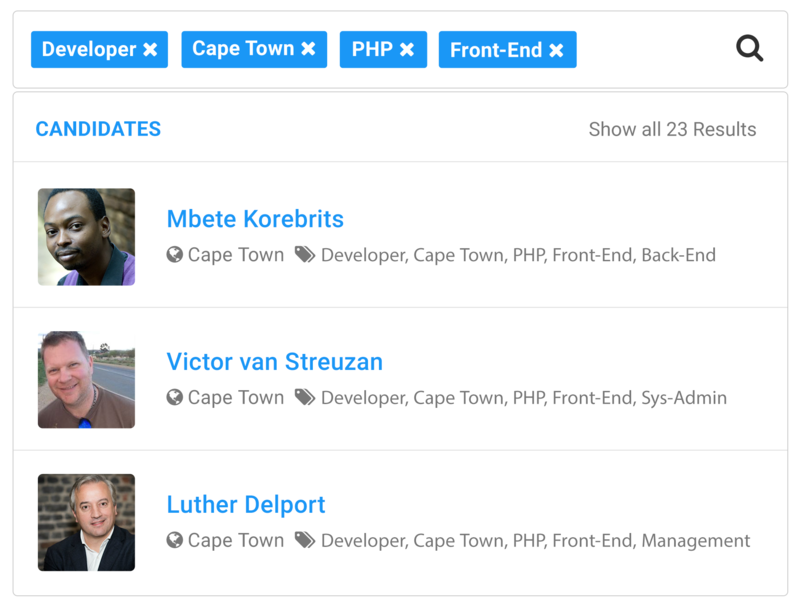 Let candidates create their own Profile online, post automatically to all major South African and international job portals as well as to your own website and discover a powerful keyword search that will find everything you are looking for – even within uploaded PDF and Word files! Ditto Hire puts important information into the centre of your attention and prioritises and organises your daily workload and that of your team. 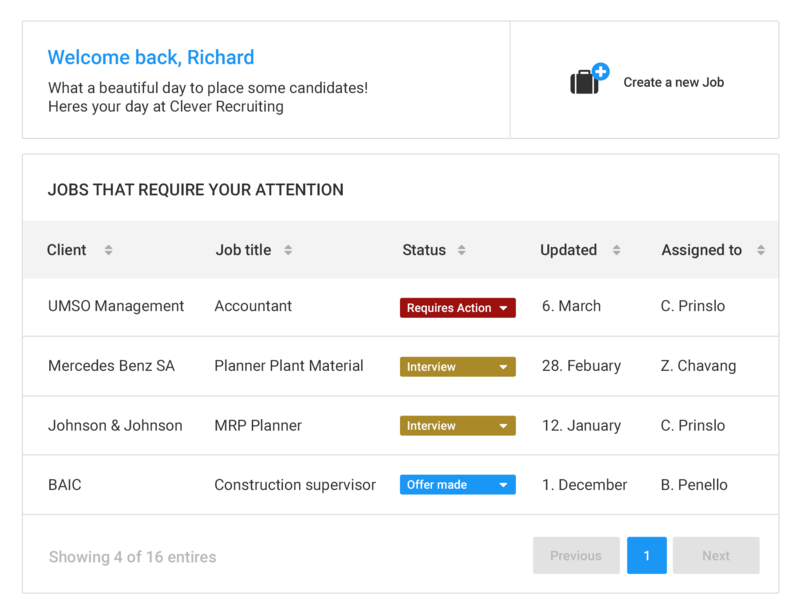 You will see jobs that require your attention first and get notified when new candidates apply so you can categorise them into candidate pools straight away. Keep track of your team and see the essence of the entire system on your dashboard. 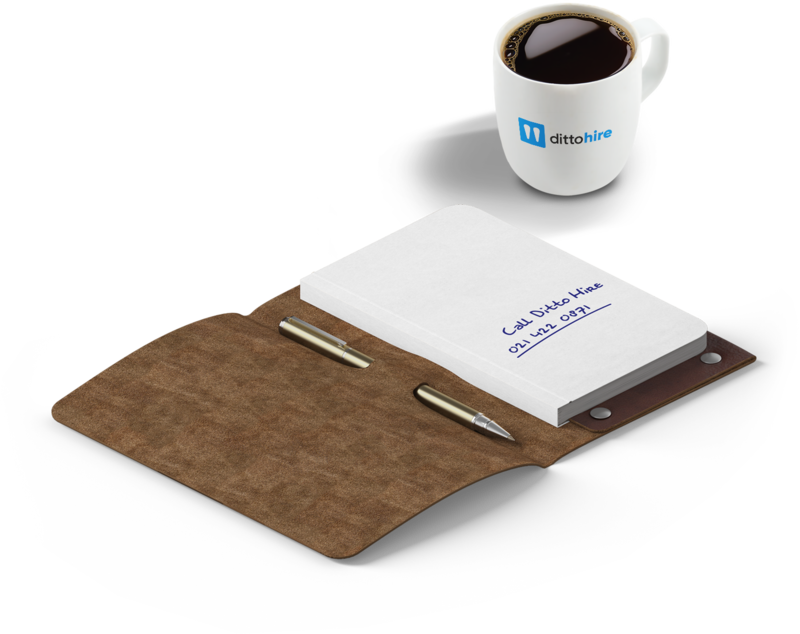 You won't need any other recruitment tool than Ditto Hire. 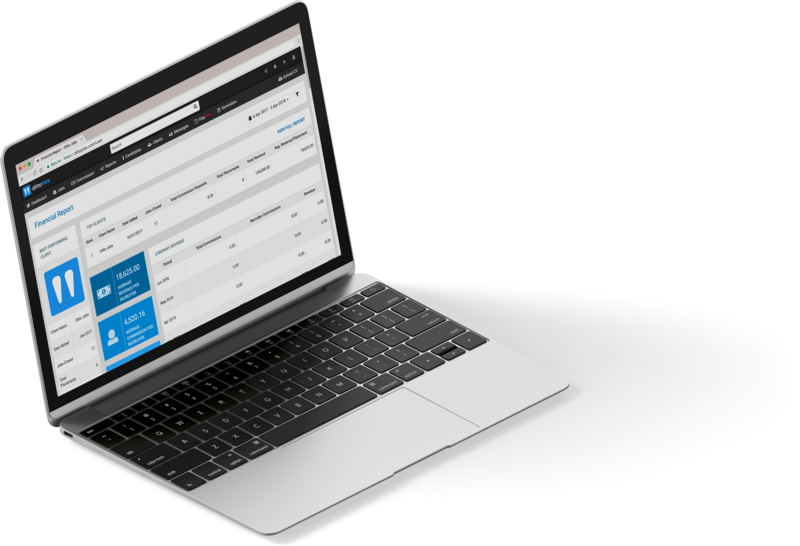 Our platform covers all aspects of the recruitment process and new features are being added constantly! Ditto will instantly turn into your mission control system. The list of features is growing and is based on the feedback of our users. The transition from your old system will be smooth and trouble-free and our subscription model is fair, transparent and works without premium or pay-per-feature. 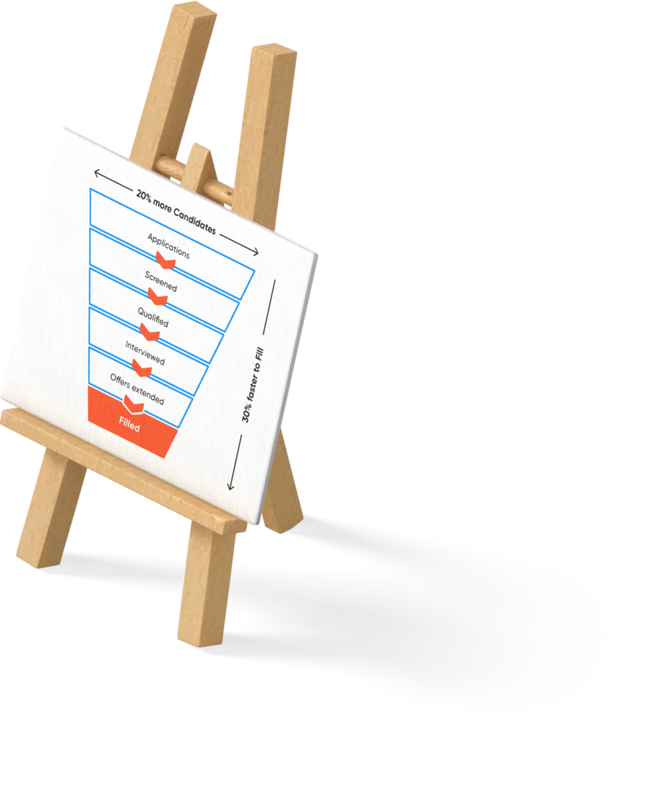 Ditto Jobs enables you to move faster through the placement funnel with more candidates at once. If you update and maintain your database well, using our intelligent features, you can speed up the process from lead to fill by up to 30% and more, while handling up to 20% more candidates simultaneously. Comparing an analogue workflow of a company with 5 employees to the full utilisation of our software. Numbers can vary depending on position to fill and industry. Ditto Hire is developed by South Africans. 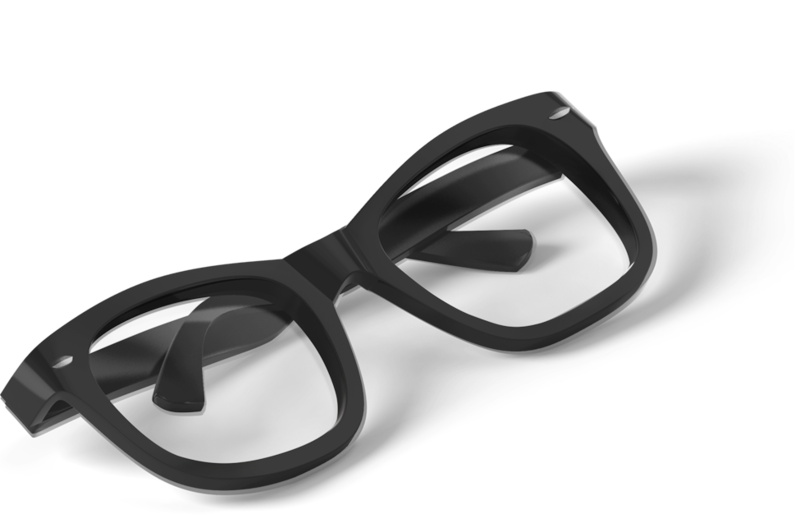 We understand the facets and quirks of the market and connect to all local job boards as well as the international ones. We ensure a trouble-free transition from your old system to us. We migrate, integrate, set up and train your team to ensure your business runs as usual – only better. Your database is safely stored on German high-speed servers with strict data protection laws in place. Periodic backups ensure your data stays safe and accessible. At Ditto everyone is premium! At Ditto Hire everyone is equal. 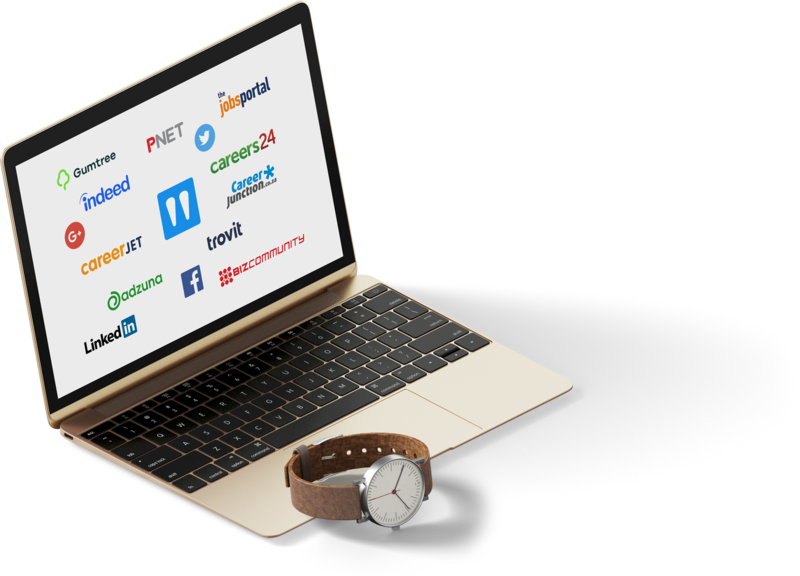 No premium subscriptions, no pay-per- feature, no hidden costs. We treat everyone equally regardless of the company size. We offer flexible support options via web, email and phone. Our teams at Ditto Hire are happy to help you during office hours. Simply send us an email or give us a call. We give you the flexibility to decide how long you want to stay with us. You can either sign up on a month-to-month basis or annually, but the longer you stay, the cheaper it gets!